There has been good news that two members of the Ramblers, Vic Cocker and Ken Hawkins, have been appointed to the Norfolk Local Access Forum (LAF), subject to ongoing committee approval. 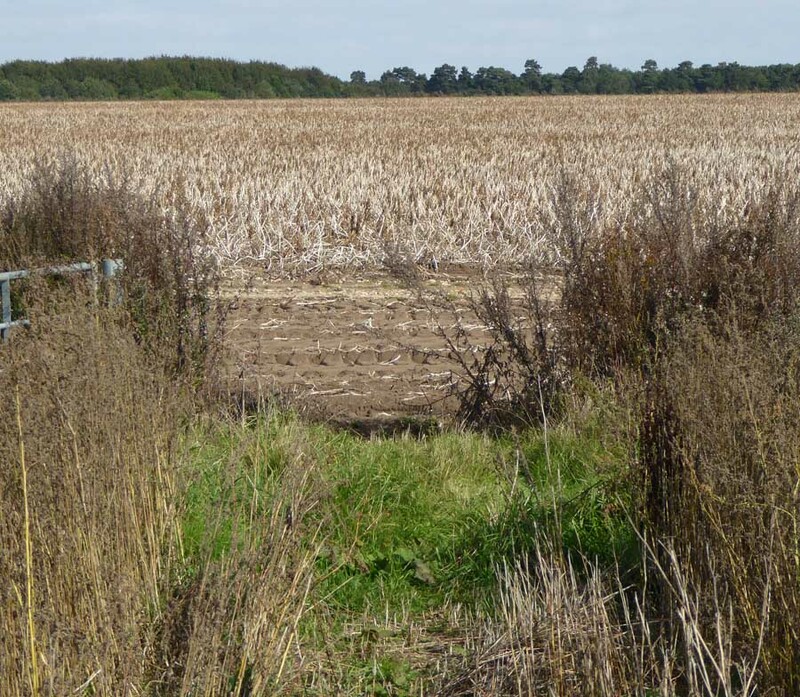 The role of the Norfolk Local Access Forum, which is a statutory committee, is to advise the County Council on the improvement of public access to land in Norfolk for the purposes of open-air recreation and the enjoyment of the area. The LAF is made up of a variety of local people with access-related interests, including walkers, and landowners and managers. There is a useful web-site on Beachamwell footpaths which is edited by Philip Spencer which gives helpful information about rights of way in the area. There is good news that footpath 10 in the area has been mostly reinstated so that it is clear where to walk. 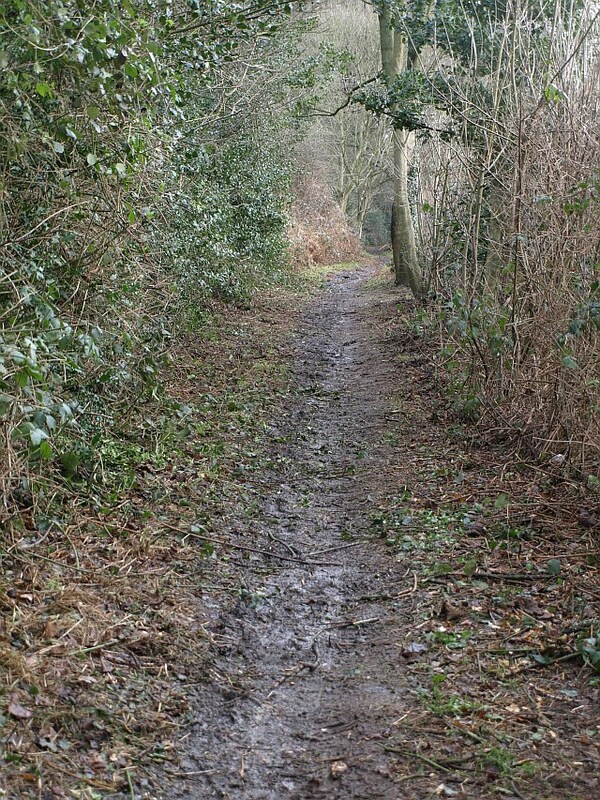 Below are two photos from Philip’s web-site, one taken last year before the path was cut, and the second after it has been cleared. Before (above photo) and after (below photo). “It’s pleasing to report that it has been now been re-instated and that the route is now clearly marked by a handsome 6 foot wide path. 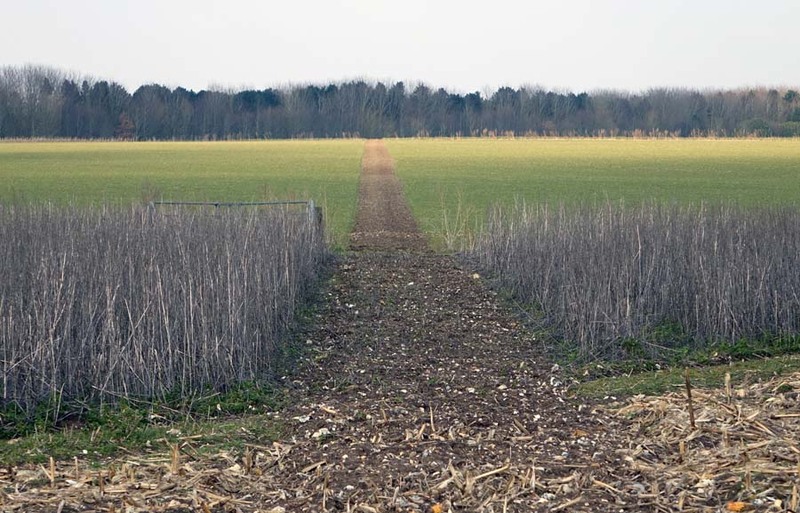 The belt of trees which crosses the path half way along its length is the only part where the line of the path isn’t marked on the ground but the general direction is fairly clear”. It’s great when footpaths are reinstated, and if anyone has queries or concerns about footpaths in Norfolk please do contact us. Contact information is available at http://www.norfolkra.org.uk/. 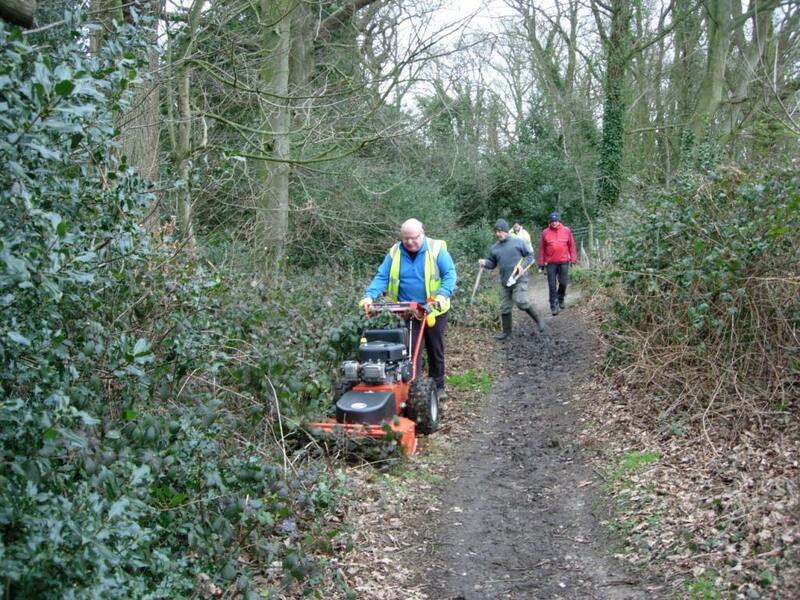 Norfolk Ramblers have in recent years given money to the local council to assist with clearing footpaths, along with cutting back some overgrown areas ourselves. 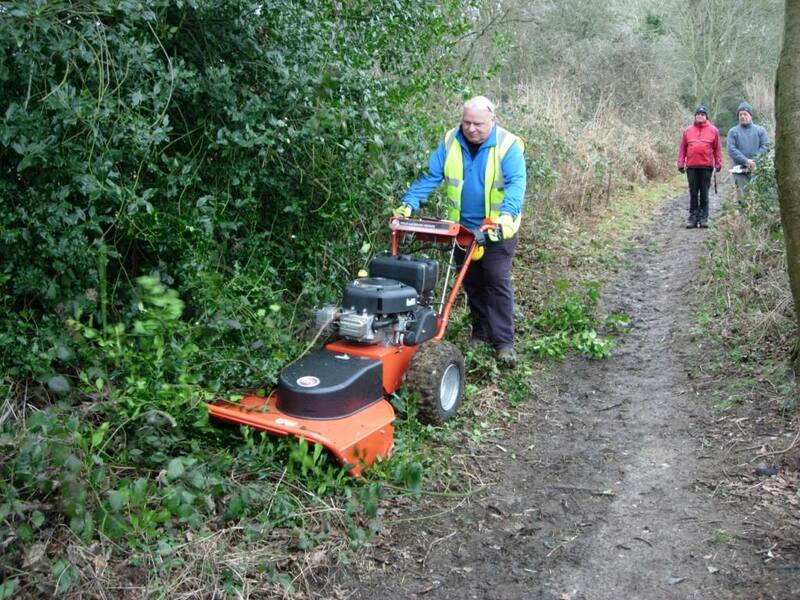 This year we’re planning to do even more work to help keep paths in the county open and to do this we’re looking to buy new equipment to help us. We’re trialling a new cutting machine which is larger than we’ve used before and we started our trials this week in Dereham. 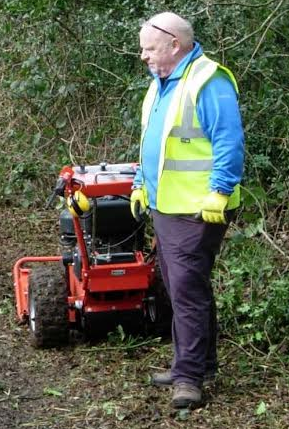 Peter, who has led much of the work building up to this trial, is seen in the above photo ploughing through some of the overgrown footpath. 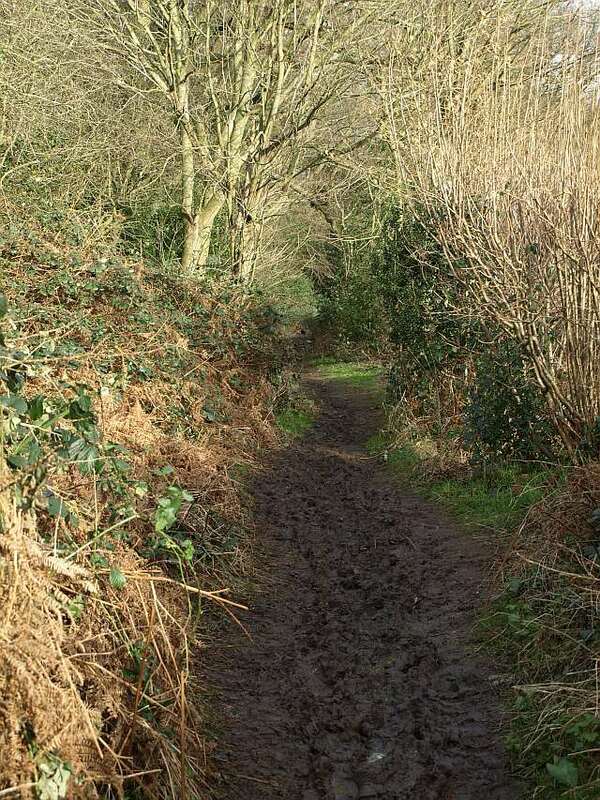 The path has become quite muddy as members of the public were forced to walk in a smaller area so widening it makes it easier for future walkers. Even holly and brambles were no match for Peter! 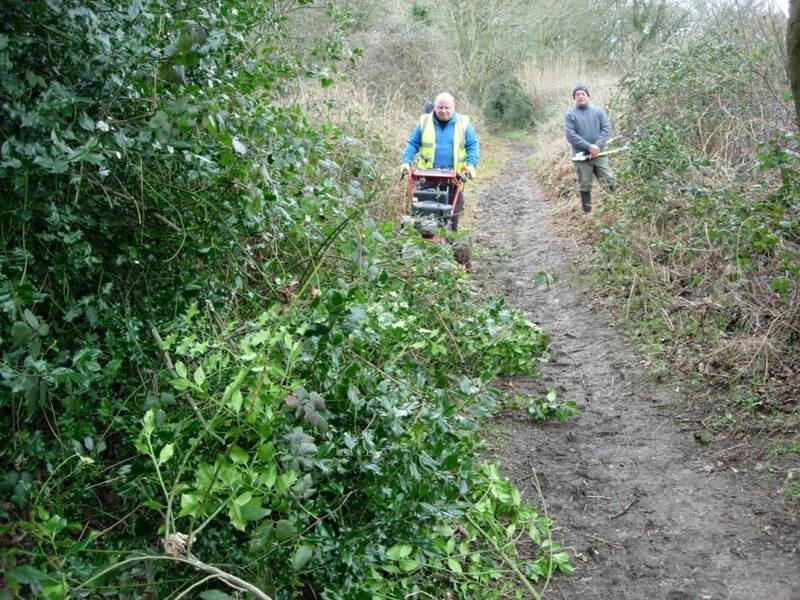 Peter led the way as our other volunteers also helped clear the path using more traditional gardening implements. The trial went well and it is hoped that other Ramblers groups in the county will want to use the equipment throughout the year. Anyone interested in getting involved with the project can contact Peter at pdjames.ramb@ntlworld.com.